"You'll never find a Nessie in the zoo..." This super-retro 80s cartoon is a true blast from the past! Created by Peter Maddocks, producer of Penny Crayon and Jimbo and the Jet-Set, The Family-Ness follows the adventures of Elspeth and Angus, two children living in a little cottage next to Loch Ness and discover a whole family of monsters living there! The Nessies have a strict rule - that they must never have any contact with humans - that is, until Elspeth and Angus come along! After the siblings help the Nessies save one of their own family, they are given a 'thistle whistle', which they can use to call the Nessies. 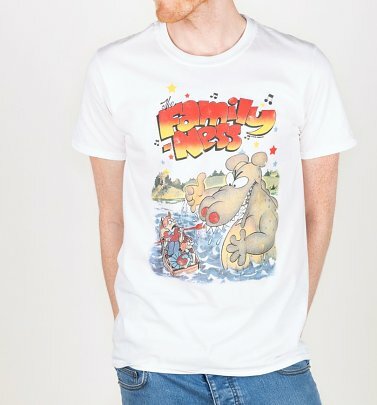 You'll be looking monstrously marvellous in no time with our cracking official Nessie tees, exclusive to TruffleShuffle!